Need to Verify In-Process Dimensions/locations of Internal Part Features? The Signature Technologies SA-2000 “SAM” module, and Signature Technologies “SamView™” software package can be used to perform non-contact measurement of the dimensions of specific features on manufactured parts including internal dimensions at very high speeds. Common applications include connector internals and terminal dimensions. The illustrated method can perform the same type of test every stroke of the machine so that each part can be individually verified as having the proper internal geometry. 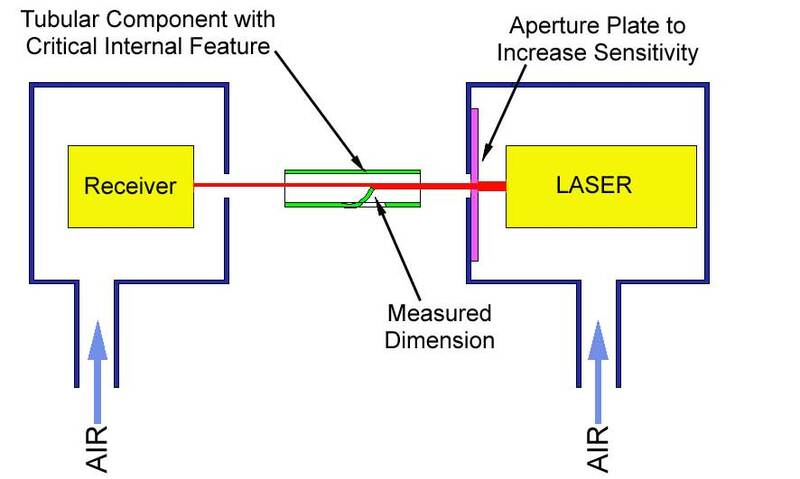 The system works by passing a laser beam through the formed part, and aligning the beam so that it is 50% blocked when the internal feature dimension is at nominal. The SAM™ module captures the beam information, and performs a Go/No-Go evaluation as the part passes by the measurement station. Low pressure air is used to keep the optics clean and part tracking is available to enable the rejection or sorting of non-compliant parts without stopping the process. 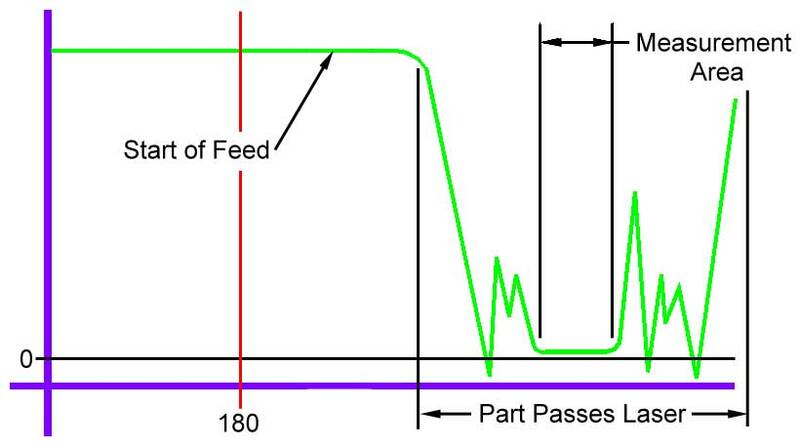 The Signature Technologies “SamView™” system can "time" the measurement so that the part is "scanned" as it passes the sensor during the feed progression as illustrated in the Graph. The measurement can be absolute, or comparative depending on the application. Multiple sensors can be used in cases where there are several different features to measure, or where multiple measurements are required. The SAM™ module can handle inputs in groups of 8 up to 56 total points. Signature Technologies can supply a wide variety of solutions to various manufacturing process problems dealing with measurement, verification of properties, tool condition, and machine health. We can also “close the loop” by performing process adjustments in response to specific variations in force, location, or shape of the work piece, as well as more simple controls which can track and reject specific parts which don’t meet specific quality criteria. For a .pdf file copy of this bulletin please click here.